July was a strange month for me – I read quite a bit, but wasn’t as active with my blogging as I was in June, I found my month to be quite hectic, especially the last week or so. I’m only actually getting to do my wrap up a third through August, which should say something! I read five books in July, I was hoping to get more read during July, while I am still on university holidays. Now I am back studying, I have less time to devote to leisure reading. The standout read for July was The House of Mirth by Edith Wharton. My second of Wharton’s works, and I loved this more than Ethan Frome. My classics TBR is now bursting – I’ve just added The Age of Innocence to the list. My participation in the readathons in July was luckluster, I barely participated at all. Just read a couple of hours and didn’t do anything out of the ordinary. I’m still trucking along with Middlemarch, I’m about 40% through and have just stalled, but I am planning on tackling that with some gumption once I’ve finished my current pulpy read. The readalong (#eliotalong) officially ends today, but I am going to put some effort into finishing it in the next week so at least I can offer a detailed review. I will be continuing on with #20booksofsummer (in winter), and I’m allowing myself to cross a couple of the bigger, chunky classics off the list and put some mood reading on the list – and I know that I will be able to finish more books if they are pulpier. So bring on the war thrillers and crime novels – I’m finishing this challenge even if it takes me out in a storm of pages. As of the 8th of August, I have read 11 of the books from my list in full, and Middlemarch is just under half way cooked – so it will be a push but I’ll put some effort in. 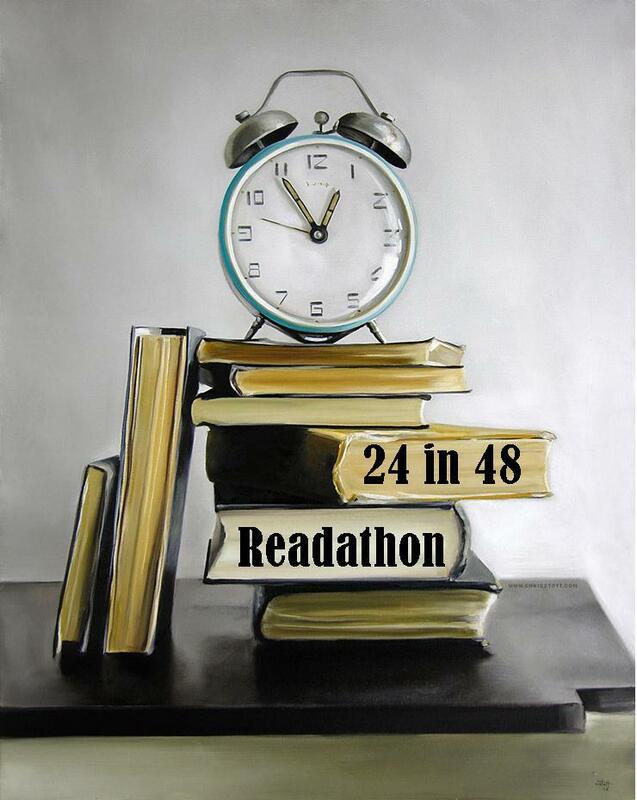 The other event that will be kicking off in August is Bout of Books, which is my favourite of the readathon events – but August is the ‘thon that I generally don’t take part in or low key participate. It runs from 22 – 28 August, and this year my Dad’s 60th falls just before that, and my own birthday too. My sister is also due to have her baby late August – early September and I don’t want to be focusing on something like Bout of Books when I should focus on helping and being with family. If I do participate, it will probably be a limited amount of time. Or even limiting myself to how much reading I complete. Book Reviews in July – 3 full reviews, 3 tiny ones. Well, I’ve already read three books in August, so I’m not going to actually list which books I’m planning on reading but have already read. I’m going to be focusing on finishing my #20booksofsummer and actually mood read. There’s a couple of new release military fiction releases that I’m eyeing off… so I might give myself leave to read them this month. I’m also going to aim for at three books off my classics club list – I’ve already read Brave New World, hopefully finish Middlemarch and then one other (shorter/easier reading) classic. The 20 Books of Summer challenge is being hosted by Cathy over at 746 Books. Check out her blog, and join in if you so wish! I’m a little late to this party, but I’ve been undecided about what books I’m going to commit to. As always, these choices might get changed as I go, but I’m going to try and stick to this list as much as possible. I’ve selected 10 books from my Classics Club list – in an attempt at making a serious dent in that challenge too. It means that quite a few of my books won’t be ‘easy’ reading, but I find I read more classics in winter anyway. I’ve also made sure 10 of the books are by female authors (and I almost had 9, plus Evelyn Waugh! Oooops.) I’m trying to balance out the male/female issue I have, but then it just pained me to notice my Classics Club list is a sausage fest. Extra brownie points will be awarded if I can manage to review them all. Anyone else participating? Did you theme/restrict your lists like I did? Anyone else freaking out about all the guys hanging out on their Classics TBR lists? It’s time for yet another Classics Club Spin – and although I didn’t finish the last one, I’m going to jump ahead and get myself a new spin book so I don’t have to keep staring at Dracula. I’ve thrown in a couple choices that mean I can read with someone else, but if you see we have a book in common, let me know and I’ll juggle around my list so we can read together, if you like! Update: I’ll be reading Tristram Shandy.